Grand Homes, America's Best Builder, is celebrating 30 years building extraordinary homes! 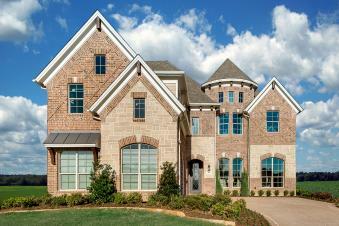 Grand Homes is a nationally recognized, award-winning leader in the homebuilding industry. Grand Homes' recognition as America's Best Builder by BUILDER magazine is backed by years of dedication to innovative, award-winning designs, quality craftsmanship and homeowner satisfaction. We build new homes exclusively in the Dallas/Ft. Worth metroplex. Our neighborhoods offer amenities such as hike and bike trails, wooded and creekside homesites and resort style features like swimming pools, fitness centers and sport courts. We offer new homes for the executive with low maintenance, 1-2 acre homesites for large families that want open spaces and gated neighborhoods for the buyer that desires additional privacy. Our Mission is to improve the Quality of Life of our Customers, Employees and Trade Partners through the Grand Homes Experience. With this uncompromising commitment, we are proud to present classic homes that have been engineered for enduring value, quality and style... providing you with countless choices that will fit your lifestyle. Free E-Newsletter. Sign Up Today and get information on new communities, special offers, and more delivered to your inbox each week. Copyright © 2019 Grand Homes, Inc. 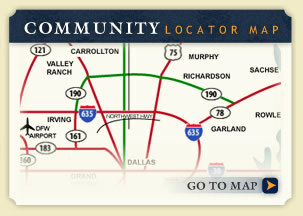 Phone: (214) 750-6528 | Fax: (214) 750-6849 | All Rights Reserved.